We packed in quite a bit of interesting food over the long weekend (thanks to the Folklife Festival), much of it completely undocumented, alas. There was dinner for six people at the Palace Kitchen, including a wonderful wood-fired chicken with rhubarb sauce, a beautiful herb-crusted whole trout, and a really odd but neat dessert consisting of a soft pretzel, a glass of beer and a scoop of hops ice cream. There was a dinner at home of Javanese grilled chicken and herbed rice salad (I’ll have to do that again for a future post). We checked out the new ice cream place in Wallingford, and had post-Folklife drinks at Ten Mercer. There were, however, two places where we did get around to taking pictures: Paragon and Quinn’s. 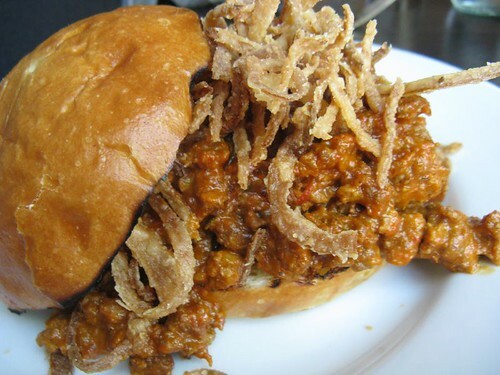 It is a wild boar sloppy joe with fried onions on it. Oh, yes. I think if I came back here I could possibly order something else, but it might be difficult. 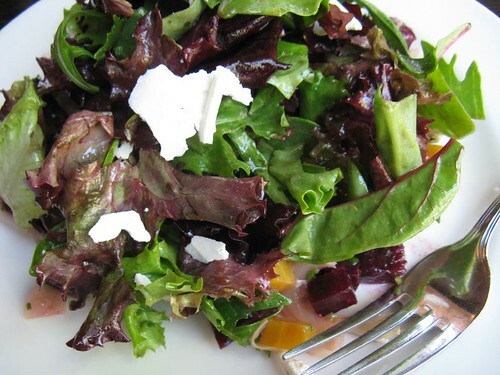 We also got a salad with red and golden beets and ricotta salata. That was good, too. Two days later, after picking up our CDs from the Folklife store, we ended up at Paragon. We hadn’t meant to eat there, it was sort of an accident. 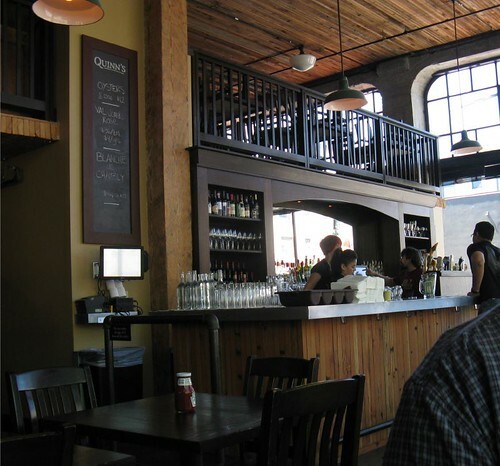 I had really hoped to try out How to Cook a Wolf, or possibly Betty, Moxie or Portage – all fabulous-looking newish restaurants on Queen Anne hill. However, it was Memorial Day and every single one of them was closed. Sigh. So we went to Paragon, a very comfortable-feeling neighborhood pub, and worked our way through a plateful of fried squid and green chiles. 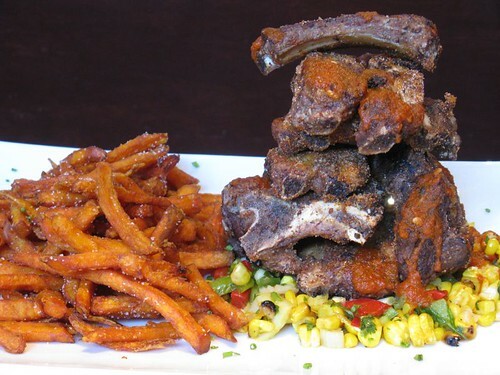 Thus encouraged, we then ordered the Paragon burger and a stack of baby back ribs with yam fries. Yee ha! The burger won in terms of juicy yumminess, but the ribs were one of the most architectural entrees I’ve seen. Spicy, too. 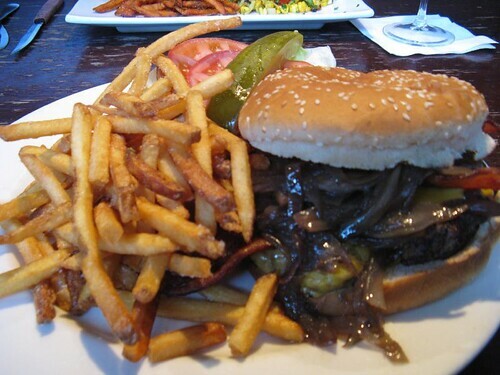 The fries were all really, really good. I really regretted my inability to eat them all.